The Torre Colonna luxury Boutique Residence in Rome proudly exhibits an interior design altogether striking, unique and tantalising to the eyes, complemented by the works of Italian contemporary star Natino Chirico. 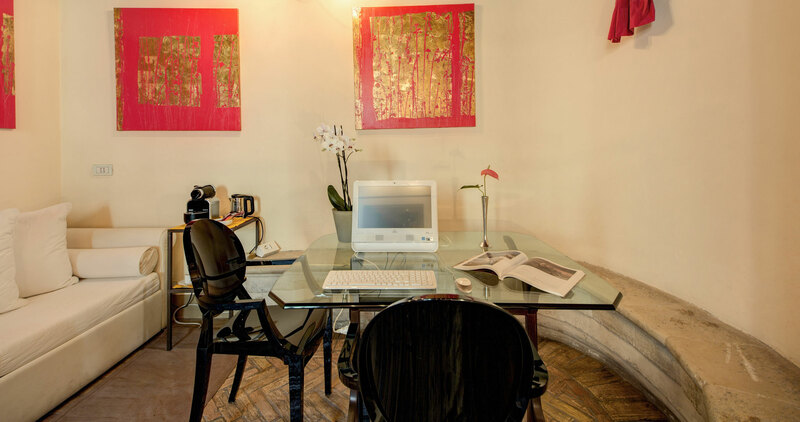 In addition, this top quality Rome city centre Boutique Residence just happens to occupy a 13th century defensive tower of the same name. For these reasons and many more, we felt it necessary to create the Torre Colonna Online Video Tour. 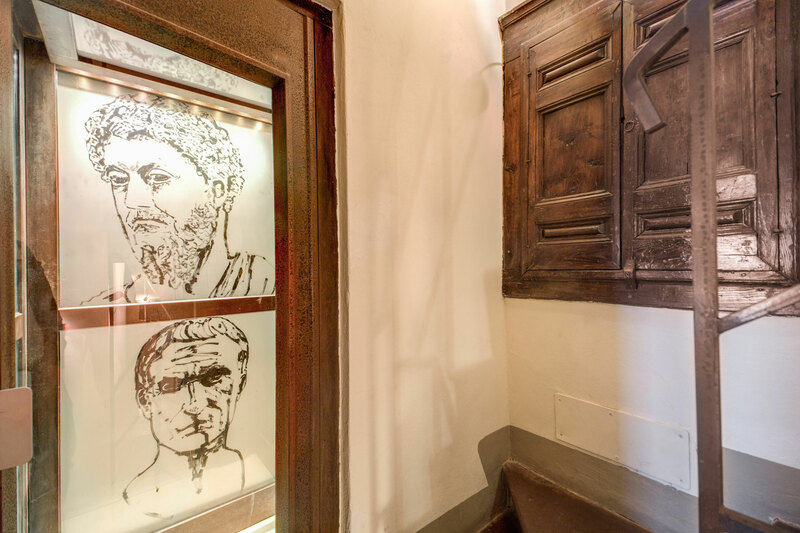 Our five luxury Rome guestrooms are special in their own way - not least thanks to the works by contemporary Italian artist Natino Chirico - but atop the guestrooms on the sixth floor of the tower is our public dining room that looks out over Trajan's Column - another exhibit of ancient Rome that punctuates the local city centre landscape.